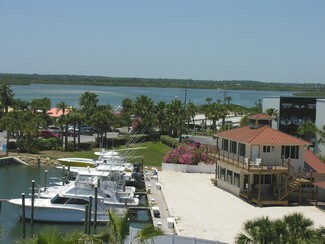 10 Slip Boutique Marina 1 MILE TO INLET! Protected, NO WAKE Cove! WALK TO BEAUTIFUL BEACH! Included in your slip is use of our air-conditioned clubhouse with full, private bath, kitchen to cook your catch and comfortable seating to watch the flat screen! Less than one mile to the Inlet. Your riverfront home away from home next to Inlet Harbor Marina. (Rent is plus electric) IN WATER AND LIFT SLIP AVAILABLE NOW!